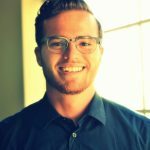 Kudos to you if you are considering starting juicing! Juicing is a healthy way to get more veggies and fruits into your system. Juicing helps you ingest all the minerals, vitamins, antioxidants and enzymes that would otherwise be destroyed during cooking or processing. Simply get a good, reliable and efficient juicer to make that perfect, healthy glass! Now picking the perfect juicer can be quite daunting, what with all the numerous brands coming into the market every day, each one promising better performance than those before it. Although a lot of the models hitting the market are pretty good, there are some whose standard is below par; avoid these. You also do not want to spend money only to end up with a juicer you will never use. To better your chances of buying the right juicer, you need to decide on the type of juicer you need and how much you want to spend on it. Also consider the controls or number of speeds on it as well as how easy it is to clean. You will also want to choose a juicer that looks and feels good. $150 can seem like a small amount considering there are juicers costing close to $1500. However, you’ll be surprised at how far you can go with your $150 when buying a juicer. Below is a list of three juicers, all under $150 that blend functionality, versatility and aesthetics not only to meet your needs but to suit your lifestyle as well. 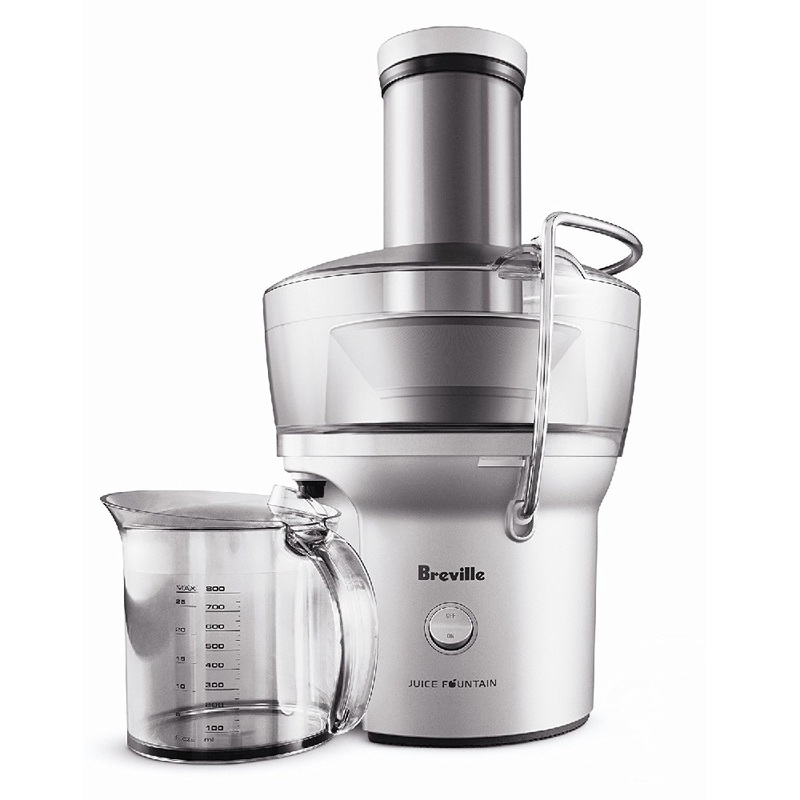 The Breville BJE200XL is a little machine that delivers big! This centrifugal juicer is as powerful as all the other bigger Breville juicers. If you have a really busy lifestyle but still want that glass of juice before you leave the house, then you will find the Breville BJE200XL juicer very appealing! It is easy to assemble, disassemble, use and clean. Its small size allows you to move it around the kitchen with ease. With its 1400rpm motor, the Breville BJE200XL Compact Juice Fountain 700-watt Juice Extractor is able to completely juice both your soft or hard fruits and vegetables. It has an extra large feeding tube which enables you to add your produce whole without having to chop or peel them first. It features two dual centered knives that shred your fruits and veggies to tiny pieces. Its built-in micromesh strainer filters your juice. Just throw in all the different fruits and veggies you like to make your own juices, shakes and smoothies in a matter of minutes. This juicer is durable thanks to its polymer-made body. It is also dishwasher safe and comes with a cleaning brush as well as a 1ltr jug. The Breville BJE200XL is not only easy to use but is fast and quite affordable. It is especially ideal for you if you are a really busy person and/or are new to juicing. This is because you only have one setting to operate and you get to throw your ingredients into the juicer without having to chop or peel any of them. It also helps that the cleanup process is seamless. If you are always in a rush, but still want to get in all those healthy nutrients without having to spend too much, this is indeed the juicer for you. The 67650A Big Mouth Pro Juice Extractor is easy and efficient to use making it quite ideal for you if you have a very a busy lifestyle and are not keen on spending a fortune on a juicer. It is super easy to use. 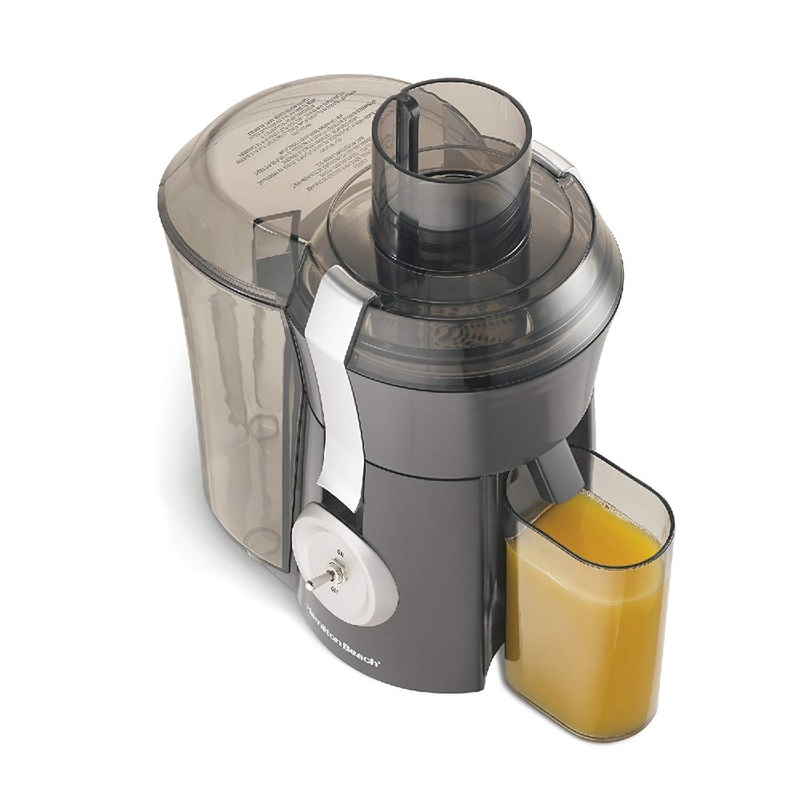 Simply throw in your ingredients whole, and this centrifugal juice extractor gives you a glass of fresh fruit and vegetable juice in just a few minutes, thanks to its powerful 1.1 HP motor, extra-wide 3-inch feed chute and stainless steel cutter/strainer. Cleaning and assembling of this juicer is also pretty easy. Removable plastic parts are dishwasher safe (except for the motor base). Hamilton Beach 67650A Big Mouth Pro is affordable and efficient. It takes just minutes to produce a healthy glass of juice making it ideal for your busy lifestyle. It is terrible with green leafy vegetables and very soft fruits. 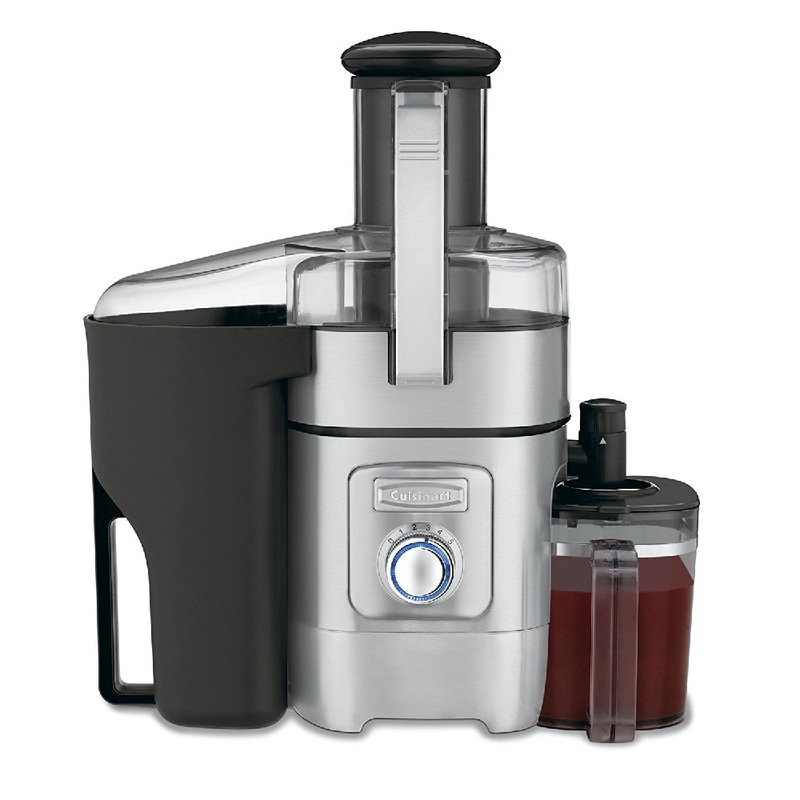 The Cuisinart CJE-1000 juicer is a powerful, 1000-watt multi-speed centrifugal juicer that comes with some unique features not found in other centrifugal machines. This juicer makes juicing at home a at home a total breeze! It comes with a 3″ feed tube which seamlessly allows you to throw in your fruits and vegetables of choice whole. It has an adjustable flow spout which prevents drips and spills meaning you get to keep your countertops clean. It comes with a 5-speed control dial which is easy to operate and allows you to juice soft and hard fruits as well as those leafy vegetables that most juicers don’t handle well. The 1-liter pitcher allows you to collect every drop of juice produced while the distinctive filter basket reduces foam. This juicer is so quiet meaning you needn’t worry about waking anyone while juicing. The housing is constructed from die-cast and stainless steel along with BPA-free plastic parts. This juicer is ideal for you if you are looking for a silent, wide mouth centrifugal juicer. Its stainless steel finish makes it quite easy on the eyes. In spite of a few minor drawbacks, this juicer makes for a pretty good investment. It is well priced, has a lot of power and speed options and handles most fruits and vegetables with great expertise. Using it and cleaning it is seamless. Taking all this into consideration, id say that the Cuisinart CJE-1000 is a pretty good buy. Buying a juicer is something you will need to do with great caution if you want to avoid losing money and pick the best one to suite your needs and lifestyle. Buying a juicer blindly could result in you getting stuck with one that you’ll never use. Here are a few factors I think you should carefully consider before you purchase your juicer and embark on your healthy juicing journey. During your hunt for the perfect juicer, you’ll notice that the price of the juicer directly impacts the quality and quantity of your juicing. In most cases, higher-end model juicers will give you more juice of higher quality with most of the nutrients intact while the more affordable models will in most cases give you juice that is just good enough. The cheaper option might seem the better choice at first but if you are serious about juicing and plan to do it often, you will need to purchase lots of produce just to get a little amount of juice meaning you spend more in the end. With this in mind, you might want to get the more expensive one because it produces a higher yield. The reason you are getting into juicing is to better your health. It is important that you are clear on the kind of vegetables and fruits you will be juicing regularly. This is because different juicers handle different ingredients differently. Be careful to choose a juicer that can handle the leafy veggies and hard fruits well while retaining most of the nutrients intact. Take time to consider the speed options you would like in your juicer. This is because different produce do better when juiced at different speeds, despite the model of juicer you buy. Generally, centrifugal juicers have more speeds than cold-press juicers and twin-gear ones. The latter give you more juice but take longer to do so while the former give less juice fast. Most juicers, no matter how good, are a pain to clean. Ask anyone with a juicer. Even the higher-end models aren’t spared from this nightmare. In fact, they are the worst! If you value simple cleanup, take note of how many different pieces the juicers you are looking to buy have and whether or not they are dishwasher friendly. More pieces mean more cleaning. Not too crazy about noisy machines? Or have kids you don’t want to wake while juicing? Then find juicers that are specially designed to be silent. Lots of the centrifugal juicers are very loud, while the cold press and twin-gear ones are quieter. Most juicers are big and take up a lot of space. Ensure you have room on your kitchen counters for the juicer you want before purchasing it. Also check that the cord will reach the power outlet from the space you have in mind. A lot of juicers come with adjustable cords, giving you more flexibility. You may want to store your juice in a cabinet and only remove it when it’s time to juice. This is good as you don’t have to worry about counter space. Check though that your intended buy isn’t too heavy for you. The size of your juicer will ultimately affect how much juice you can make. The size of the chute will determine how much prep time you need before starting juicing. The smaller the chute, the more chopping you’ll have to do. A smaller container for catching the juice means making less juice which you can enjoy fresh while a big one means making more juice and leaving some for the next day. There is no “best juicer” in my opinion. The best juicer is the juicer that will suit a lifestyle and priorities. The juicer that will deliver what you want from it. Consider factors such as what you plan on juicing frequently, the nutrient quality you need, the cleanup process when deciding on the best juicer. When you become an enthusiastic juicer, the cleanup process becomes a non-issue. You will happily spend a few minutes of your time to clean up. This may however be determined by how busy your lifestyle is. Some juicers have parts that are dishwasher safe. The filter or screen that separates juice from pulp is the part that takes long to clean. A dishwasher may not be efficient in this case but a brush under running water will do the job perfectly. The easiest screen to clean comes with the Champion juicer because the fibers move across the screen during the juicing process instead of being forced into the holes. Centrifugal juicers are second in line because access to the large screen surface area is usually good. The twin gear juicer screens take the longest to clean. Twin gear masticating juicers are widely believed to give the most nutritious juice. This is because the produce you are juicing must pass between two stainless steel cylindrical gears which are extremely close together. These gears break down plant material thoroughly and release more of the ‘sticky’ nutrients associated with the fibers. The juice is clearly different, with more vibrant color and richer flavor. The Champion and Green Power / Green Life Juicers will grind nuts into nut butters thanks to their great power. The butters will be more “crunchy” and not “creamy” as the kind found in the stores. You would require a really powerful machine to make the “creamy” nut butters. The champion tends to do a better job than the green life /power machines, since they are more powerful. The green life/power machines might make raw almonds into almond powder instead of butter due to the low oil content of raw almonds. Just add some almond oil to make butter. Try putting them into a pan/bowl/bucket of OXI CLEAN solution overnight or for a few hours. Purchasing the right juicer to suit your particular lifestyle is no easy task. You have to consider so much before settling on the right one. I may not be in a position to determine which juicer will suit you, but I hope that I have made this task a little easier for you. All the best as you pick and buy a suitable and start your healthy juicing journey!